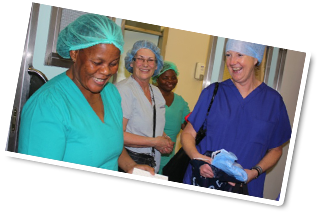 By becoming a Member of FoAN (Canada) you will help to support the charity’s objectives of educating and facilitating professional development for nurses in resource-scarce countries within Africa. Members will receive at least two newsletters per year to keep you up to date with our progress and activities. Active Members will receive at least two newsletters per year and commit to the following different types of sponsorship, i.e. make a donation, assist with fundraising activities or provide other means of support of FoAN (Canada). The cost of becoming a Member of FoAN (Canada) is $20 for one year. An electronic receipt will be provided. You can register online immediately for membership with your credit card just by clicking here. If you would prefer to pay by cheque, you can complete our mail-in membership form by clicking here to download a printable membership application form.